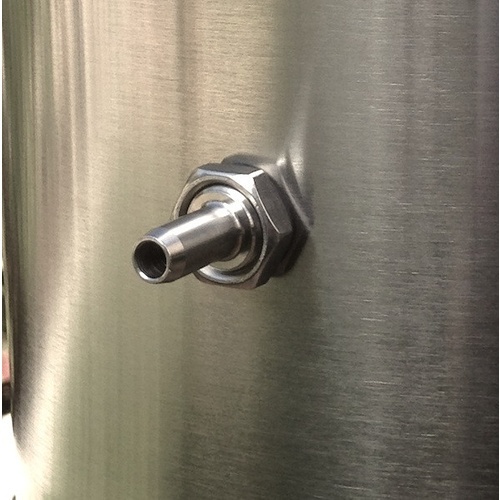 Weldless Thermowell from Ss Brewing Technologies. 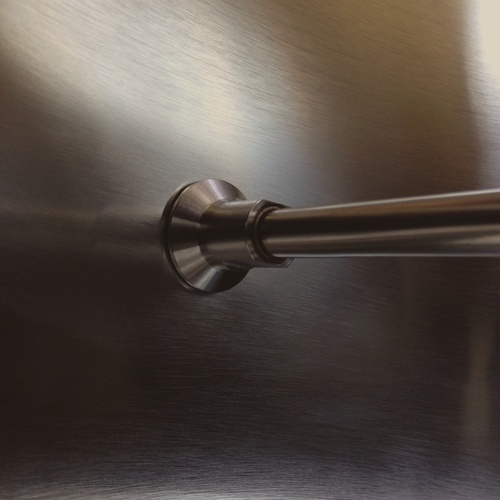 The universal design allows for easy installation on most vessels (including Speidel!). A must have upgrade for your existing Brew Bucket. It is constructed from 304 stainless steel, and approximately. 6 inches in overall length, with the inner thermowell portion being almost 4 of those inches. The thermowell fits into a 17mm punched/drilled hole. I just received my order of your temp and flow control box, along with an SS Weldless thermowell. I can only get the Ranco temp probe about 1/2" into the thermowell. It seems like the tolerance is so close that if I lightly sanded the probe it would work, but I don't want to ruin it? Any advice would be greatly appreciated! BEST ANSWER: Hi John - Please contact us at 1-800-600-0033 or info@moreflavor.com for assistance.